At the culmination of the 2018/2019 academic year, teachers who wished to participate in the program designated a 20-30 block of time for weekly-guest to come. The identity of the guest and the material being read remained a mystery. Community members who had been supporters of Episcopal School of Nashville were asked to volunteer for available slots. Directions were given: report to the office to be escorted to the classroom, choose appropriate reading material or ask for guidance, get comfortable – the teacher remains in the classroom, participate once – or volunteer for multiple visits, have fun. So – a program was established. “It was a great success! For eight weeks the students were delighted by new people, new voices, new (and some old favorite ) stories. 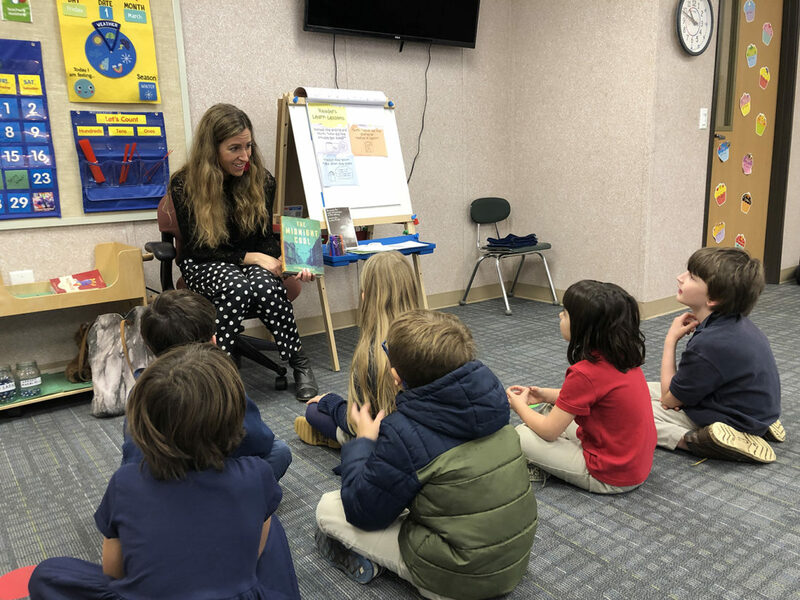 Almost forty members of the community visited campus to participate as Mystery Readers, many came multiple times or came two weeks in a row to read a longer work to the older students. Some wore costumes and some did activities to enhance their book. All read aloud and enjoyed the students, the teachers, and the classrooms. The feeling was mutual. Rave reviews came in from the Mystery Readers and from the students. But one question from our students did resound: Why wasn’t my parent a Mystery Reader? Questions? Contact ESN volunteer librarian at beverly.rossini@esnashville.org. We want to thank all our family and friends that participated in our Mystery ReaderProgram this year. Our students have welcomed multiple guests and heard many new stories. In an ongoing effort to bring guests to our campus and continue to foster a love of reading, our library program continues to thrive.